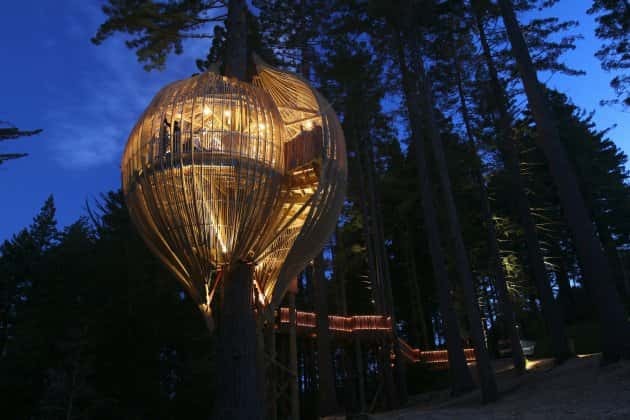 The Yellow Treehouse Restaurant is located in Auckland, New Zealand. It was designed by architects from Pacific Environments Architects, an impressive venue that is used for fine dining, private parties, corporate functions and more. 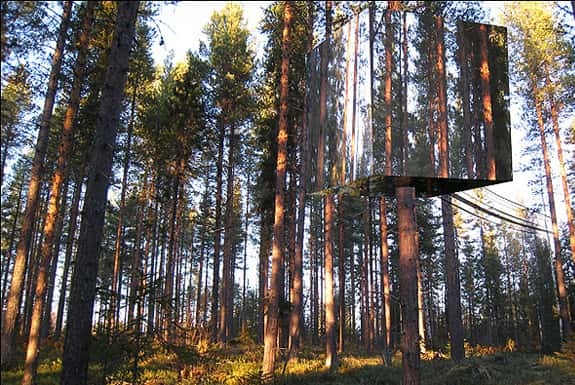 This cool treehouse hotel is located in Harrads, Sweden and it features a reflective outer surface which makes it difficult to spot. It is suspended above the ground from wires that are attached to four trees. This is not a real Banyan tree, it is a replica but it is so cool that it still desrves a mention. 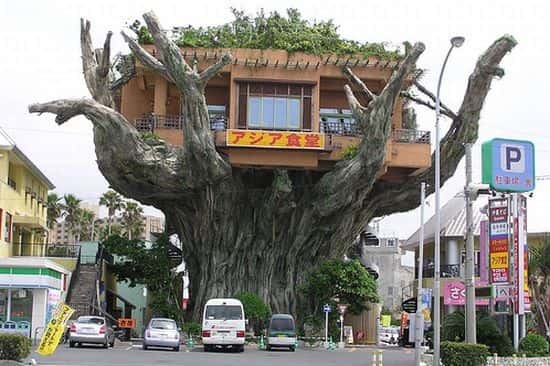 This is an Asian restaurant that definitely stands out and there is an elevator inside the tree trunk. 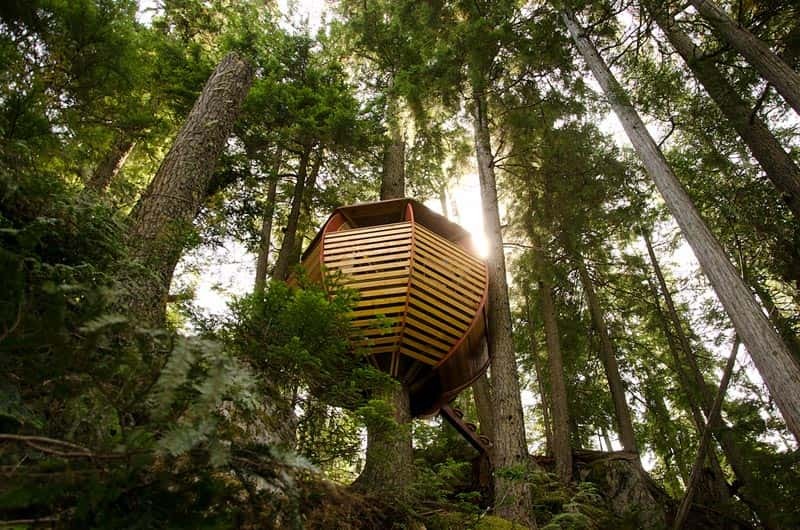 The Trillim Treehouse is one of the treehouses located at Treehouse Point in Washington. There are five treehouses at the property that are used for weddings and other events. 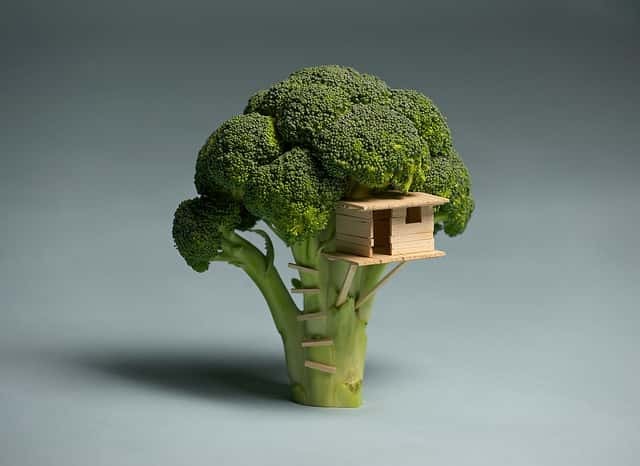 The HemLoft looks cool and it actually has a very interesting story attached to it. 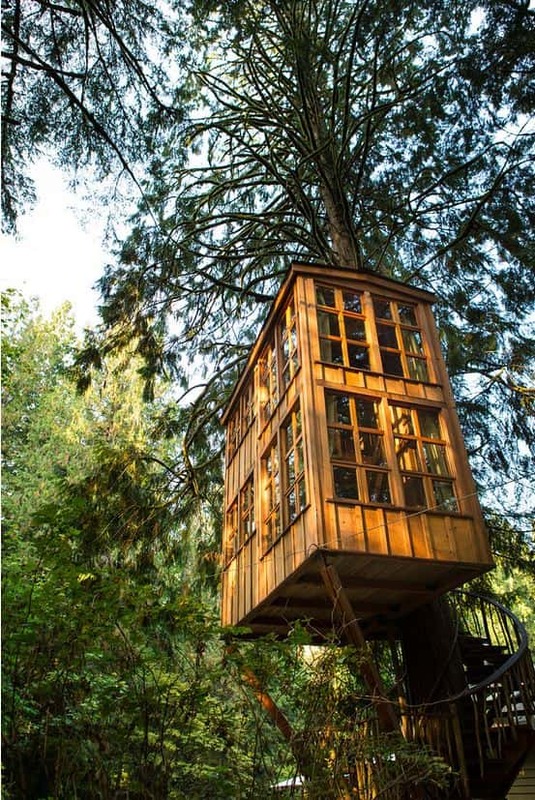 A secret treehouse that was built on crown land by a man with a passion for carpentry who had lost his job and was sleeping in his car. 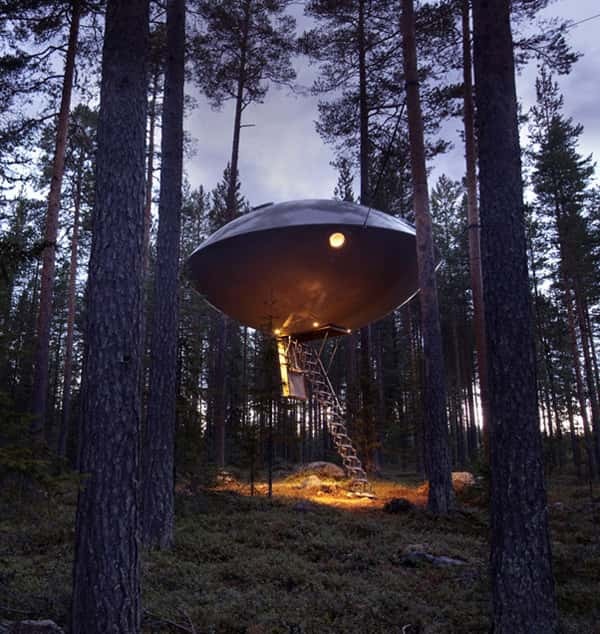 The UFO Treehouse Hotel was designed by some of Scandanavias leading architects and for it they were awarded The Swedish Grand Tourism Prize in 2011. 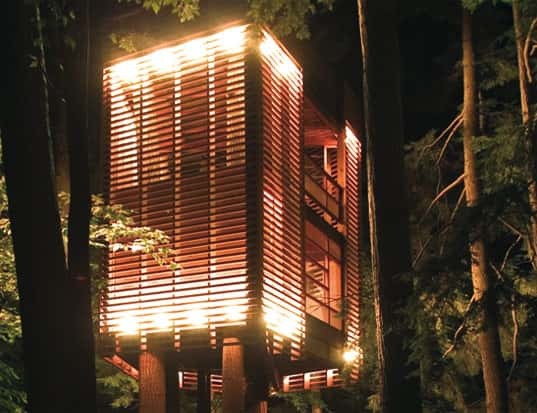 The 4Treehouse by Lukasz Kos was constructed around a base of four fir trees near Lake Muskoka in Ontario, Canada. Lukasz Kos is the cofounder of a Toronto design and architecture firm named Testroom. This one doesn't really do anything, but it is really cool! I think I could probably design and build one like this myself.